Skips are extremely reliable when it comes to removing waste in a way that’s quick and easy; could you benefit from the services that we provide at Preston Skip Hire? Skip Hire Preston is just one of the specialist services that we are proud to offer; providing you with a convenient solution for getting rid of clutter. We provide domestic skips in all shapes and sizes which makes them ideal for various DIY projects. The team here at Preston Skip Hire are always on hand to help you to find out exactly what you need to know, not just about Skip Hire Preston but Skip Hire Bolton, Wigan and Chorley too! What skip size do you need? We have a complete range of domestic skips available for you to choose from, ranging from the mini and midi skips, however, we also provide larger skips like the Roll On-Roll Off skips which are great for commercial skip hire. No matter which of our skips you choose, they are each measured in Cubic-Yards and are guaranteed to provide you with sufficient storage space for waste materials. If you’re planning to carry out DIY work on your home, you cannot beat one of the mini skips that we provide for Skip Hire Bolton. The mini skips are often the most preferred choice of domestic clients because they offer a cheap yet practical solution for removing waste efficiently. A mini skip can hold waste from any small project, take room refits or clearances for instance. What’s more, the mini skips are designed to fit neatly on driveways which simplifies the process of removing waste from your home. Whether you’re updating your kitchen and your bathroom or more than one bedroom, you’re likely to need extra space to store waste materials. To accommodate the increased volume of waste, we provide a variety of midi skips which are great for storing large, bulky items, essentially saving you the hassle of transporting them to the landfill site yourself. Our midi skips have drop doors that allow you to load waste materials with ease. 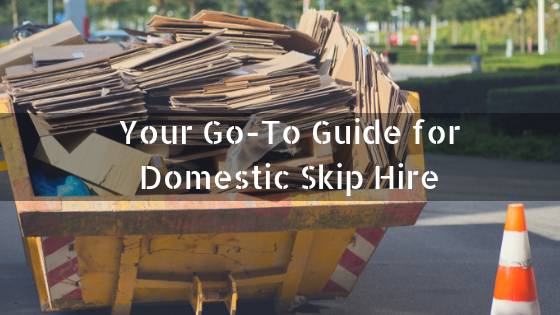 Any of the midi skips for Skip Hire Bolton are surprisingly spacious but this isn’t to say that they cannot be stored on your driveway; preventing fly-tippers from dumping their waste illegally. For when your project generates too much waste to fit in the boot of your car, why not consider Skip Hire Chorley? We supply maxi skips to suit the requirements of almost any construction project, allowing you to keep potentially dangerous materials off the ground and storing them safely inside one of our skips. The maxi skips are often the choice of customers who are renovating their property; they offer a great balance between affordability and convenience. The largest skips that we can offer for Skip Hire Chorley are the Ro-Ro skips which vary from 20-cubic yards, up to 40-cubic yards. Industrial skips like these are generally the choice of commercial clients because they store immense volumes of waste, however, this isn’t to say that you couldn’t benefit from one! Before you start throwing everything in your skip, ask yourself whether it can be donated or recycled. Donating usable items will allow you to save space in your skip and could also enable you to order a smaller skip which is more affordable. Depending on where you plan to place your skip, you may need to obtain a permit to legalise your Skip Hire Leyland. The cost of the permit is usually included in the overall cost of your Skip Hire Leyland and to make it more convenient for you, we can obtain it from your local council, on your behalf. If your skip is to be left on the road overnight, you’ll need to invest in appropriate safety cones and lighting to make sure that your skip is easily visible during periods of darkness. Why not Request a Free Quote from Preston Skip Hire today? Skip Hire Wigan is ideal for all kinds of waste and it is often considered to be the best solution for removing waste from your property. What happens to waste when it’s collected? When waste is collected from your property, you may be wondering what happens to it? Here at Preston Skip Hire, we thoroughly empty and sort through the domestic skips that we deliver. Whilst sorting through the waste held inside our skips, we can identify which materials can be recycled and which require careful disposal. We have a recycling rate of 80% or more, making sure that less waste is sent to the landfill site. Additionally, we sort waste carefully which makes it difficult for you to hide prohibited items inside your skip. Need to know more about Skip Hire Wigan or any of the other disposal services that we specialise in? Don’t hesitate to call us on 01772 827 603 today!